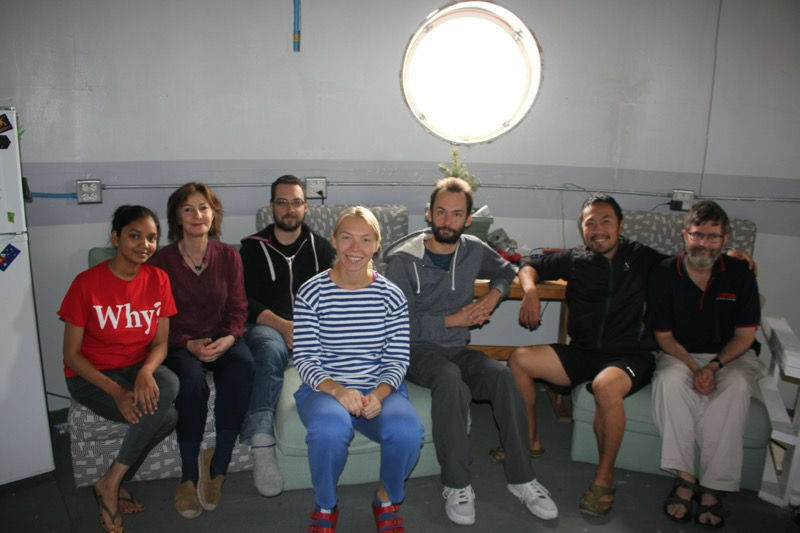 Successful or not, I hope they can get some good data out of it. Their next mission depends on it. Beagle 2 was a budget-mission. Well, they need to really improve the odds of landing safely before humans attempt this. 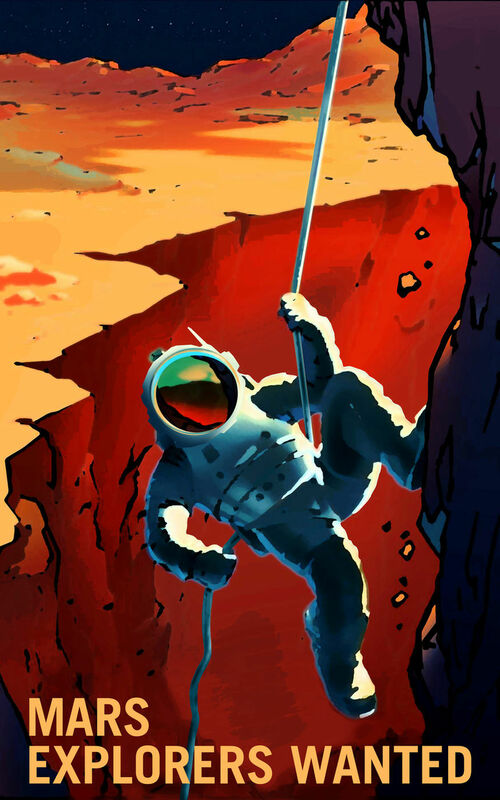 NASA's "Mars Explorers Wanted" poster series celebrates the agency's latest effort to prepare for a journey to Mars. More data and higher rez images being processed over night. 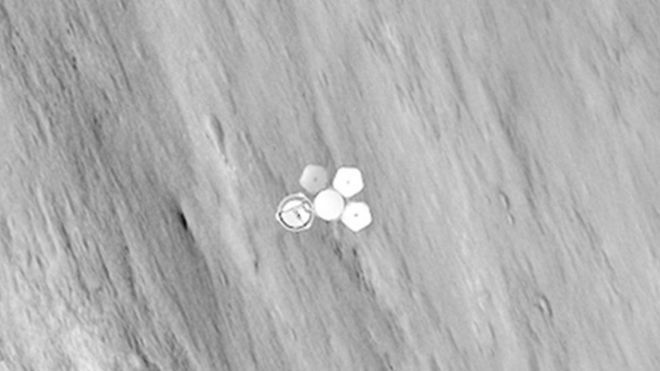 Its a pity they cannot just drive one of the rovers over to the site for a look, but apparently they are to far away. It would be nice to see another nation get on mars besides the US. I remain hopeful that Europe will get there in one piece. Besides, do we really want to have the US setting up shop there and eventually dominating the food industry - I mean who ever heard of french fries without mayonnaise. Just a quick one from Scot Manley. 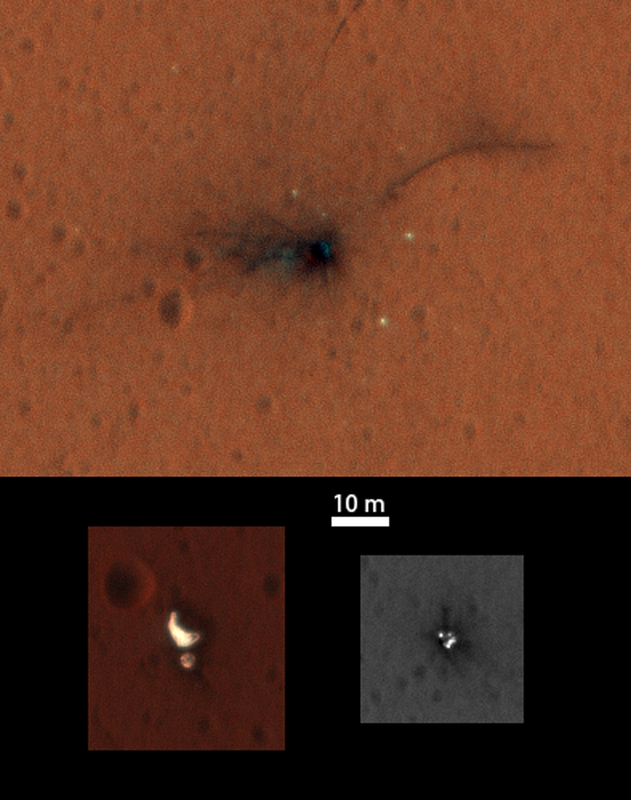 The first color images of a European Mars lander's crash site are revealing new details about the spacecraft's unsuccessful touchdown attempt last month. 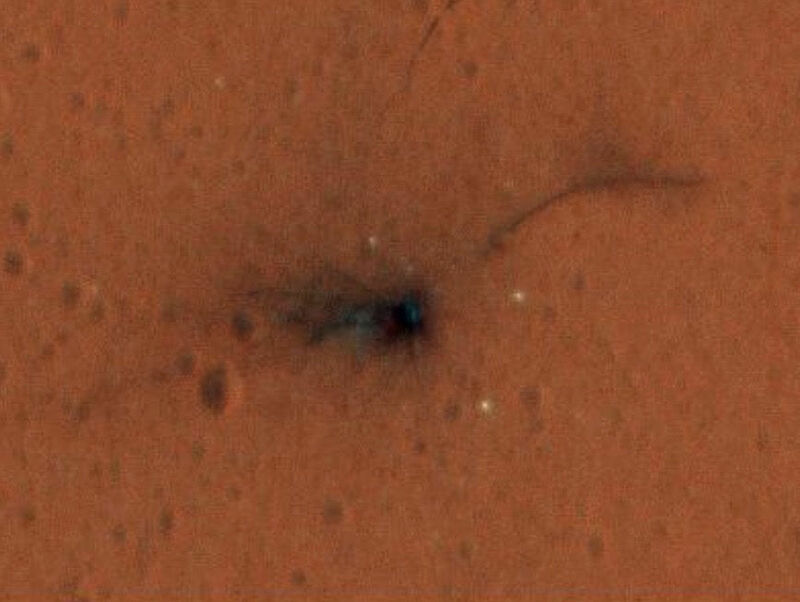 Zoomed-in view of the crater caused by the crash of Europe's Schiaparelli Mars lander on Oct. 19, 2016. Photo taken by NASA's Mars Reconnaissance Orbiter on Nov. 1, 2016. 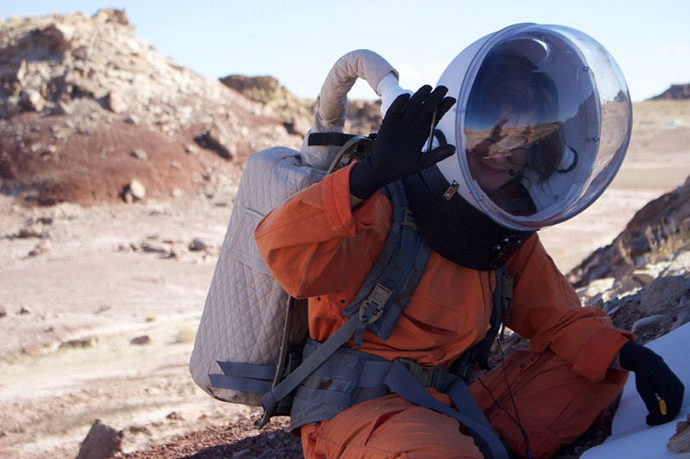 Mars 160 crewmember Annalea Beattie drawing on a "Marswalk" in the Utah desert. 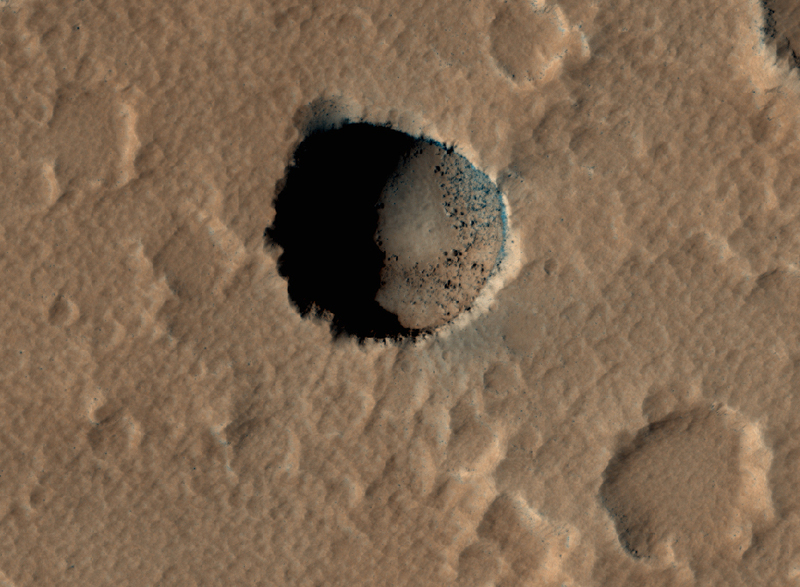 Wow, that's a fairly spectacular crater. Further evidence the martians don't want Earthlings there! Or the Secret US Space Program. Personally, I'm now more interested in the sink holes, lava tubes and caves on Mars. Getting a robotic rover down inside a sink hole or lava tube cave seems like the best next step on Mars. Then land near one and investigate as part of the first few missions. Eventually even capping off the top of one sink hole, or ends of a lava tube with a dome might be a great way to create a large safe pressurized living space. Ron Howard and Elon Musk are involved. A more closer look at the real relalityof post first mission to Mars and the establishment of a small colony outpost. Researchers created this computer simulation of sunlight reflecting from Beagle 2.